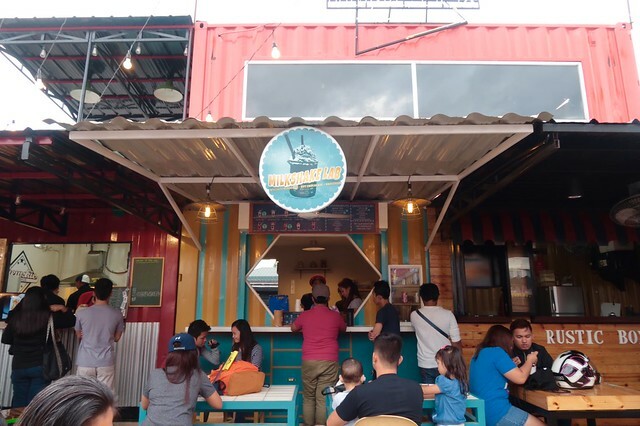 Another food park has popped up in Metro Manila, and this time it's in Marikina. 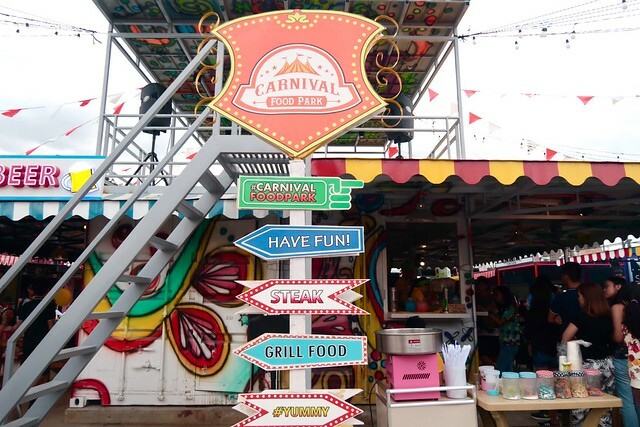 Keep reading to know more about this carnival-themed food park and what it has to offer! I admit that I have not yet explored a lot of food parks in the metro, but I think this is the first one I've visited that has a pretty unique theme. 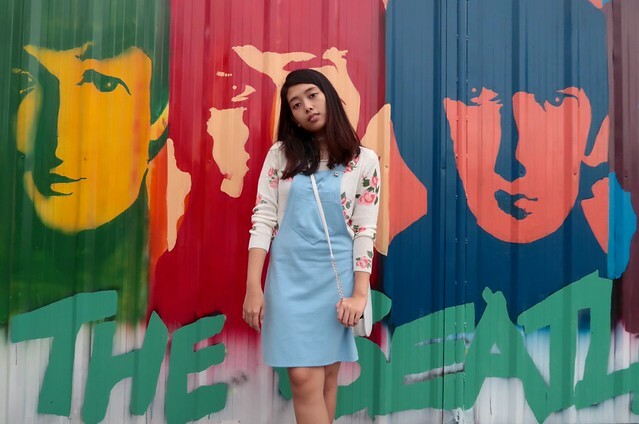 Two concepts that Filipinos seem to enjoy are: Instagrammable places & food parks. 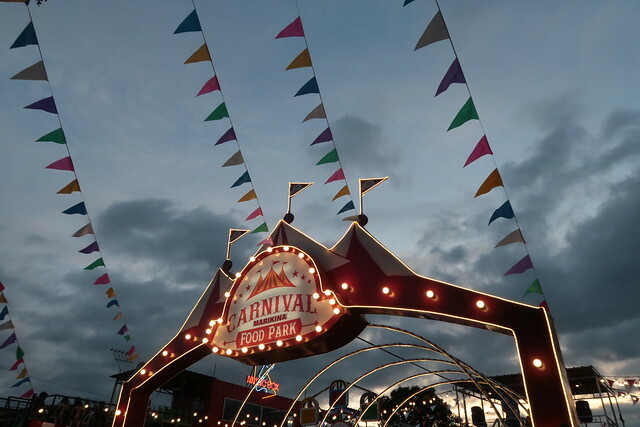 In short, a carnival-themed food park is a genius idea that totally deserves the popularity it's getting. Once the word got out in social media sites, people started coming. 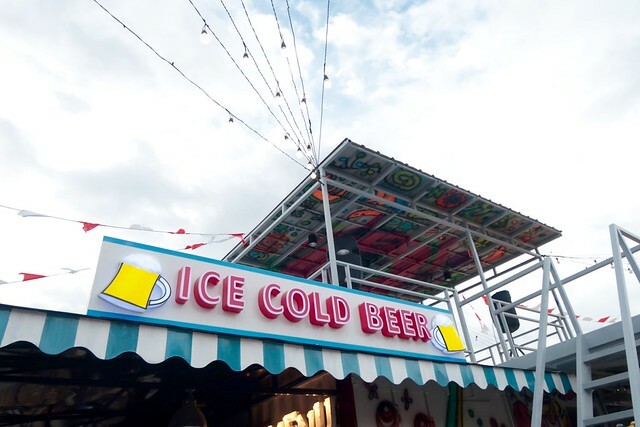 Aside from social media fame, the food park is also easy to spot. 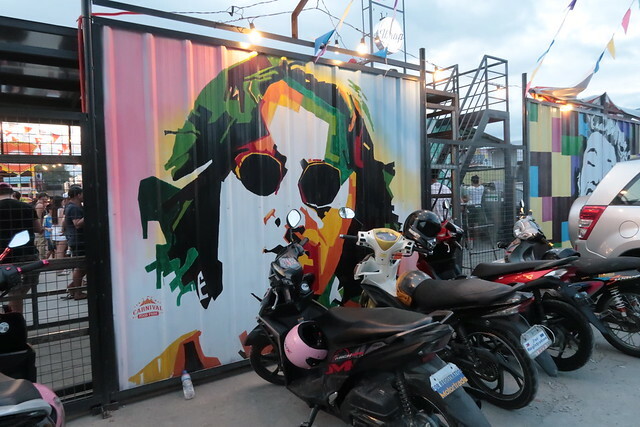 The food park is just along a highway in Marikina, so if you live near the area, you might have seen it already. Public transportation is a convenient option because jeepneys directly pass by. We went there at around 4 in the afternoon on a SUNDAY, and I know that I should have seen this coming - the place was completely filled. Families dominated the park. Children were hungry and the scene was almost chaotic. The hardest challenge was finding a seat. Out of our desperation, we asked a woman if she would be so kind and share their table with us, thank God she said yes. If you are planning to go there, do yourself a favor and go on a weekday. Lines were long but they weren't "MRT-long", though. 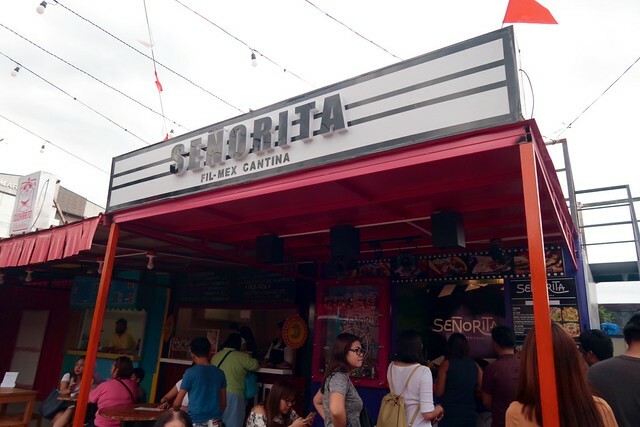 Two places had blockbuster lines - Hungry Heroes Cafe (burger joint) and Señorita (Fil-Mex cantina). 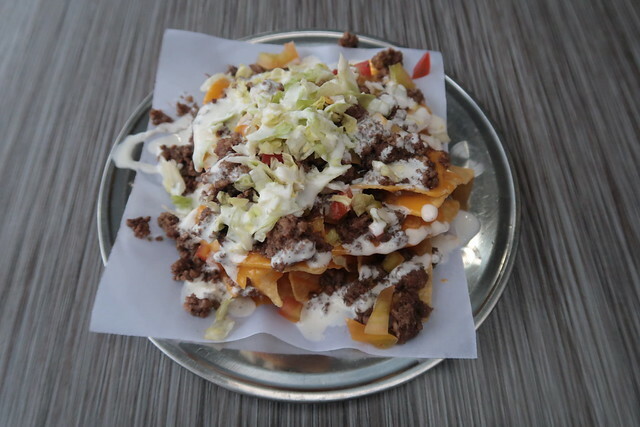 I was craving for nachos that day, so obviously we decided to go to Señorita. Because it is a food park, it was rather challenging to follow-up on the food. In most stalls, the crew asked us to come back for our food after a certain amount of time. Although, other stalls gave out a number and the highly-skilled waiter found us (I don't know how, either - special shoutout to the waiter from Señorita). 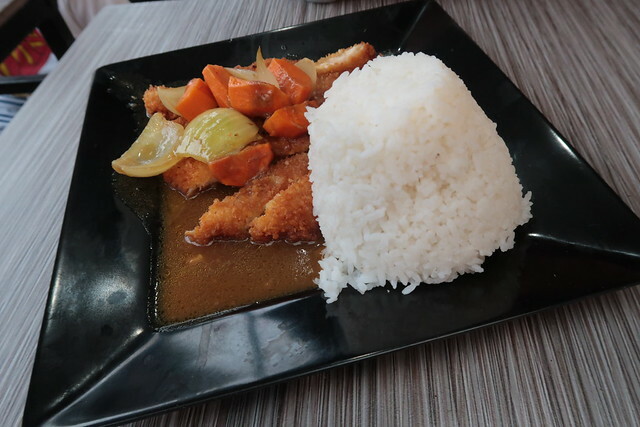 The best thing about food parks is you have a chance to choose among a variety of cuisines. Plus, all are budget-friendly. Nachos were cheesy and good for two people. However, it's quite pricey for its quantity. Tori Joint is a Japanese food stall covered with eye-catching Cherry blossoms aesthetics. Although their food is good, presentation and flavor of the food were lacking. 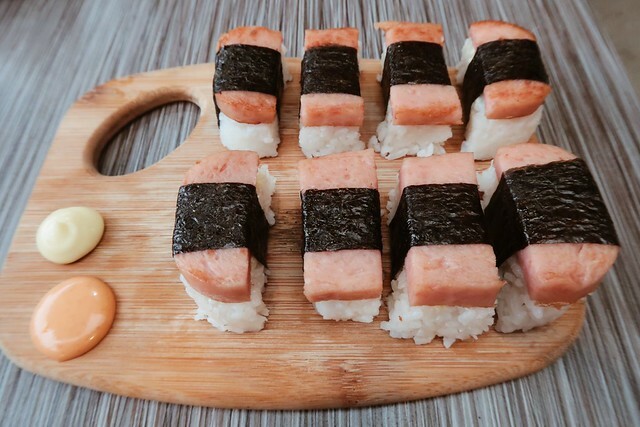 I am obsessed with SPAM Musubi's but this disappointed me. It has no special flavor, and it definitely looked better than it tasted. I enjoyed the chili sauce at the side, though. 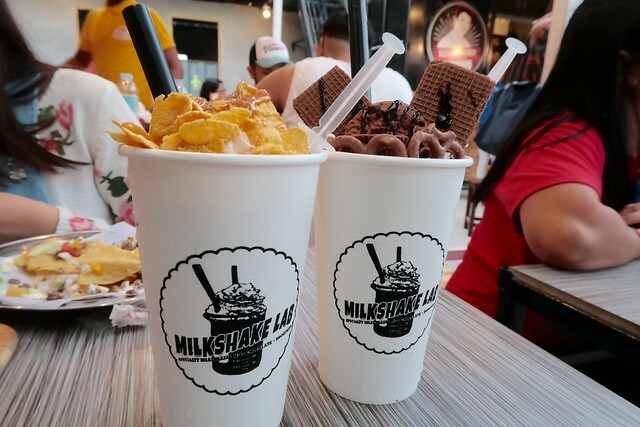 Milkshake lab offers a wide variety of flavors to choose from. Presentation was superb. Milkshakes come with disposable syringes for additional flavor. 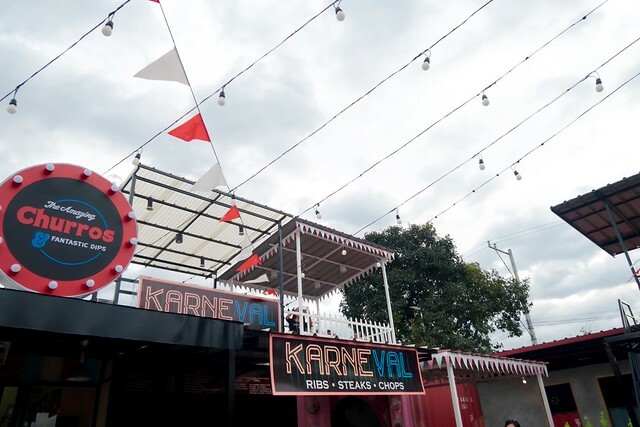 If you are seeking for a new, fun, and artsy food park to experience, Carnival Marikina Food Park is certainly a must. 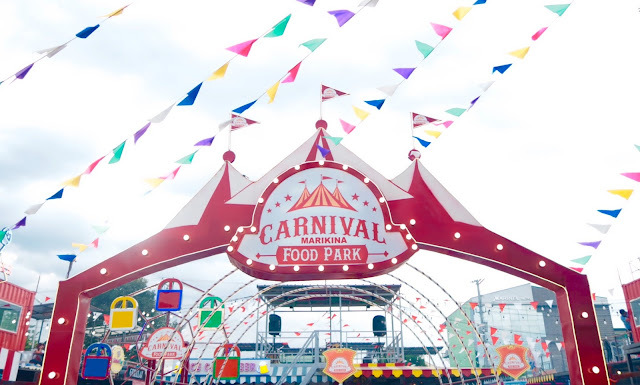 Do you like going to food parks? Name your favorite one in the comment section below. Woah. another food park. 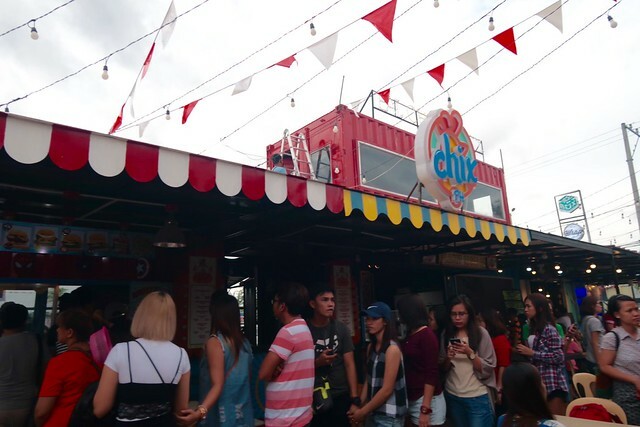 Food parks are now like mushrooms in metro manila. Haha this one looks insteresting, will probably invite friends to have dinner there. thanks for sharing, Melissa! Another food park and yet I have never even been to The Yard! Bummer. The place really is instagrammable, I love the setting of the place so much! Thanks for the quick tour, Melissa! :) Love your blog's new look, BTW! I hope they don't serve live chicken. JK. Planning to try this one out very soon. You're using your Canon g7x here? ganda ng photos. The food looks really yummy, if only I live near the place I'll definitely visit and try all this. Yes, I was. Thanks! :) The food looks good but it could've been better, I think. To be honest, I've only been to Mercato because it's near my previous office! But other than that, I haven't been to any food parks at all. This one looks soooo much fun. I'm ready to shell out some $$$! Hahaha. 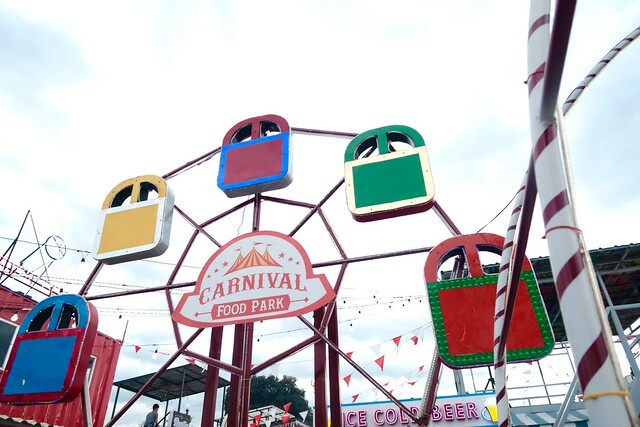 TBH, I thought may ferris wheel talaga siya na maliit! HAHAHA! I agree with you, it's the most famous one in Marikina now dahil nga sa concept. Hehe. The only food park I've been to is the one in Kapitolyo, but the name completely slips my mind now. This one definitely looks instagrammable. This one is a bit too far from us, but hopefully my friends would want to go to a roadtrip. Haha. Super cute ng place! Would love to go here too!! :) Mukha ring masarap yung food + very Instagrammable ha! ♥ Hope to hear from you soon!